M2M (Machine to Machine) communications, IoT (Internet of Things), and Industrial Internet are constantly bringing new connected devices, things, to the Internet. Operators and other companies already use Radiator AAA Server Software to create M2M, IoT, and Industrial Internet services to customers. Using Radiator with Private APN (access point name) is an important use case. Most mobile operators provide, in addition to their own APNs, also a Private APN service for companies interested of separating their data traffic from operators’ generic subscriptions. The Private APN service utilises operator’s SIM cards for radio network access, but separates the data traffic in operator’s GGSN (gateway GPRS support node) by the access point name (e.g. internet.company instead of operator’s own access point name). These separate private access points may have their own parameters for authentication, accounting, IP networks, IP address allocation, connection parameters, traffic accounting, priorities, and other functionalities. 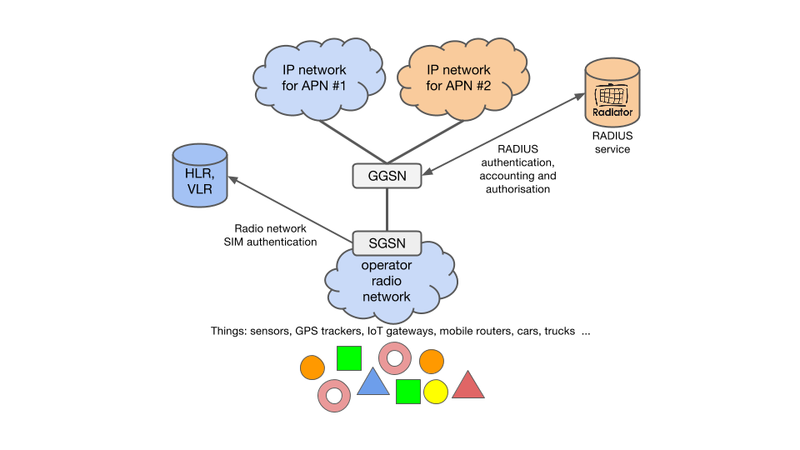 Depending on the GGSN capabilities, it is possible to move some of these functionalities and information to a separate RADIUS service, which is provided either by the operator or company utilising the Private APN. This use case is one of the many, where Radiator can be used to provide additional and complementary functionality to mobile network and Internet of Things/Industrial Internet solutions. Contact our team at info@open.com.au to set up a meeting, where we can discuss how Radiator could help you in building and deploying mobile network or IoT/Industrial Internet services and solutions.